Though hardly the first director to tackle Zombies (it is broadly agreed that that honour belongs to the Halperin brothers, with their 1932 picture, White Zombie), George A. Romero’s output remains a benchmark of the genre. Beginning with 1968’s Night of the Living Dead, through Dawn of the Dead in 1978 and 1985’s Day of the Dead, Romero established key genre conventions – the slow, shuffling movements of the infected who feast on human flesh and can be cut down with blows to the head – that continue to be acknowledged to this day; though that slow shuffling has recently been (uncharitably, we think, to those of us in fear of anything other than mild peril) replaced by terrifying sprinting capabilities. His influence as a filmmaker is impressive – across all kinds of media, the Zombie is as popular a subject as it ever has been; from Robert Kirkman’s The Walking Dead, which began life as a comic book before making it on to our TV screens, to this year’s World War Z, itself adapted from a novel by Max Brooks; the genre is as, ahem, alive as ever. But often lost amid the torrents of intestines, spurting blood and unidentifiable gore (as well as those legions of imitators inspired by the loose trilogy), are the actually-not-too-hard-to-pick-out nuances at play in Romero’s work. While few would argue that this indie trailblazer’s movies amount to hardline political treatises, there seems little doubt that his work is laced with ideas just as concerned with real-world occurrences as with escaping the living dead. As is often the case with some of the best fiction dealing with ideas around dystopias and/or the apocalypse, many of Romero’s films have a rich vein of social commentary running thorough them. Making clear statements about the times in which we live, in spite of the action in the foreground, there always appears to be more going on. Speaking in an interview with Red Wedge Magazine, Tony Williams, an academic and the author of Knight of the Living Dead: The Cinema of George A. Romero argues that “no film can escape its social and historical context and Night is one of them. It expresses George’s constant theme: the lack of communication and co-operation and how this can eventually destroy or decimate people. From the racial tensions of Night of the Living Dead, Romero moved on to critique a burgeoning consumer society in Dawn of the Dead. Viewed as a straight epidemic/survival movie, this 1978 effort is compelling enough, but satirical layers dealing with, as he sees it, America’s mindless materialism – where even after the end of their natural lives, people worship at the altar of the shopping centre – add a delicious (no, not in an “mmmm, brains” way) and impressively prescient subtext. And while Williams’ assertion that “no film can escape its social and historical context” is certainly powerful, another key influence of Romero’s would be the comic books he read in his childhood and teens. EC Comics, publisher of titles such as Tales from the Crypt and The Vault of Horror, provided a forum and platform for thinking outside of the mainstream hegemony. Politics aside, and without speaking directly to Mr. Romero, how can we be so sure of the influence we attribute to EC? 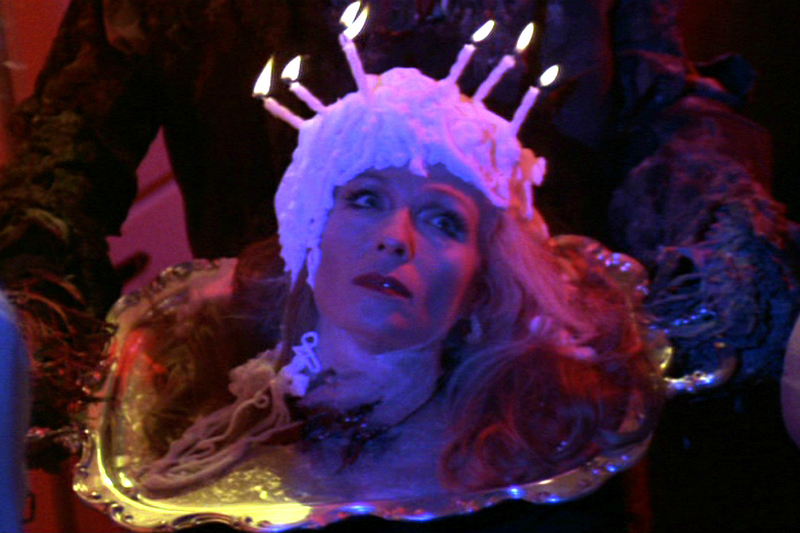 In a word, Creepshow – a film which leaves us in no doubt about the director’s reading habits as a boy. A homage to just the type of comics we mention, Romero directed this five-story anthology (from a screenplay by Stephen King), with partner in crime Tom Savini (Dawn of the Dead, Day of the Dead) providing the special effects.